Mush everything together in a bowl, with a potato masher or a fork, or both. Preheat the oven to 425. Coat a baking sheet with olive oil. Form the kofta into small, flattish balls. Spread them on the baking sheet. Bake for about twenty minutes, turning them once or twice, till they’re nicely browned on both sides. Warm the olive oil in a large frying pan over medium heat. Add the garlic & scallions. Stir and fry till they’re starting to get browned and soft. Add the lettuce stir and fry till it’s all wilted. Add the cashews and all of the spices, and then immediately add the tomatoes (you don’t want the spices to burn). Bring to a boil, reduce heat and simmer till everything is soft and hot. Add the vinegar and butter, and blend in small batches (carefully, it’s hot!) Return to the heat, season with salt and plenty of black pepper. Sprinkle the basil and cilantro over just before serving. Serve with kofta and basmati rice, and flatbreads if you have them! 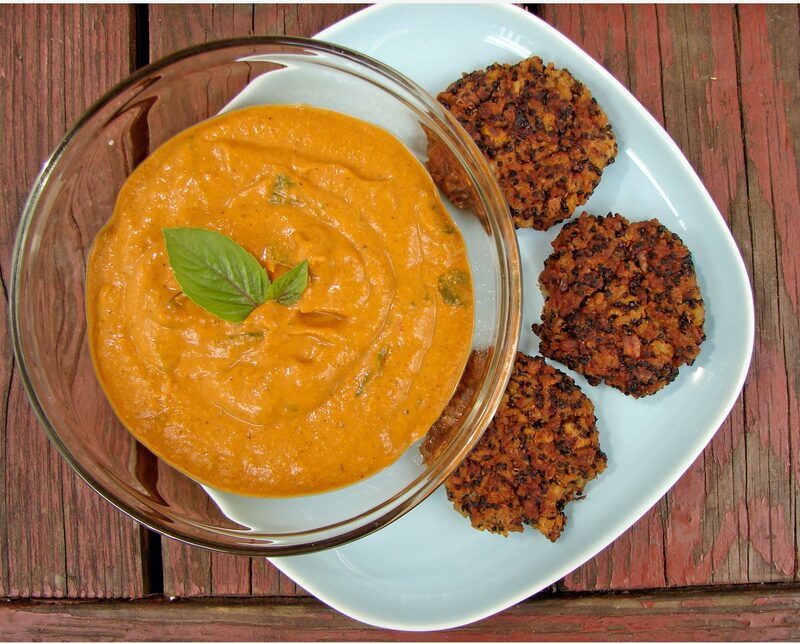 This entry was posted in beans, croquettes, recipe, rice, sauce, tomatoes and tagged black quinoa, cashews, chickpeas, curry sauce, lettuce curry, quinoa croquettes by Claire. Bookmark the permalink. 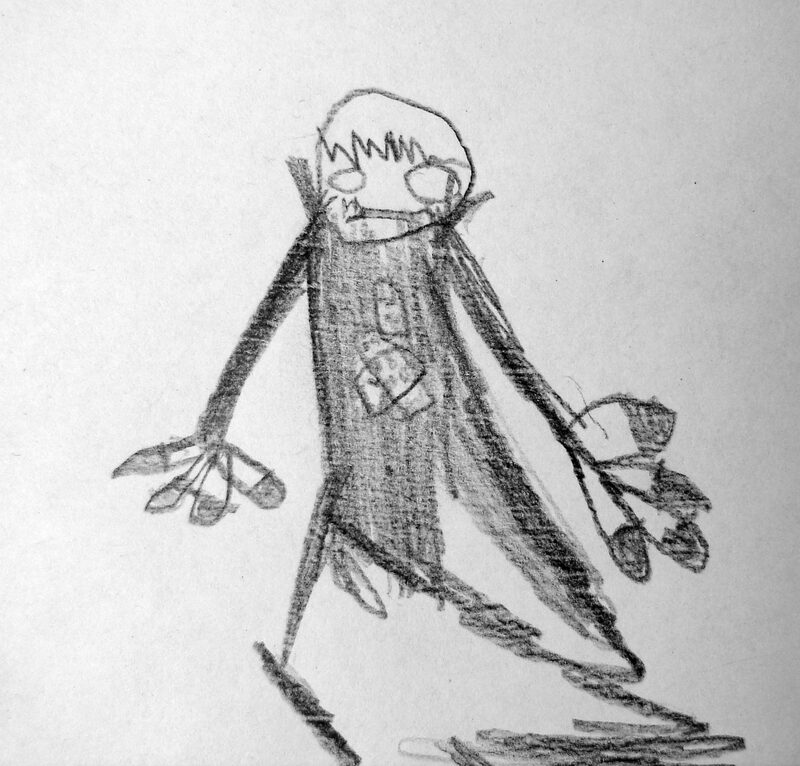 I have a theory about kids drawing. My theory is that many kids enjoy drawing and produce wonderful stuff…and then the Grown-Ups (even Teachers) tell them they’re no good and they stop doing it. Or else they turn to copying cartoons, which is popular with their peers but not proper drawing imo. I once ran a schools competition for a stop-smoking poster and (wisely) decided to judge it myself. The winning design was not perhaps very good technically but it had a wonderful humour about it and a bit of cheekiness beside which all the others were just earnest and dull. When I rang the kid’s school to say one of theirs had won the prize and to arrange to come in to an assembly for the prizegiving the secretary asked the name of the child. When I told her she did not believe that this child had actually won something. Seriously. She thought I’d got the wrong name. steenbeck, I know that you will encourage and nurture Isaac properly in all ways. Everyone else, please watch out for the children you know and don’t let them get squished by people that have no clue about anything good. Some kids are tough and will weather it out. Others crumple easily. 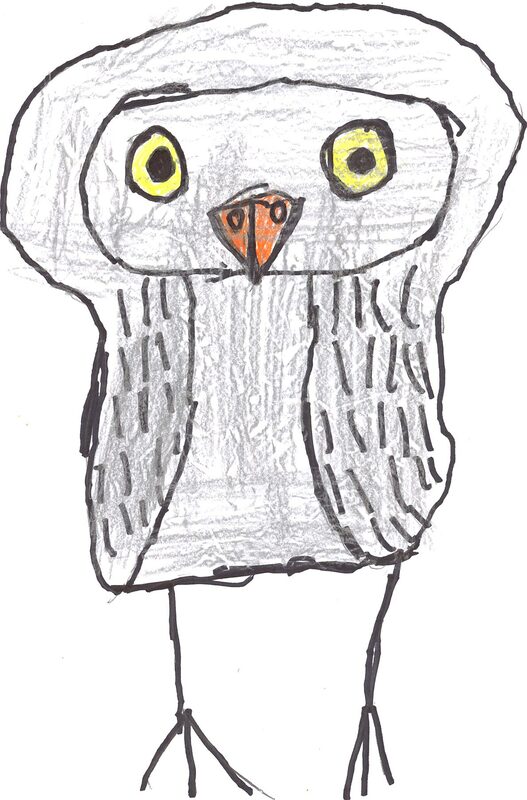 I meant to come back before now to comment on Thimble Man (Isaac and his picture) and Malcolm’s owl. I have been dealing with email viruses among other things. I have to tell you how much I enjoyed this post (I enjoy all the food stuff anyway.) Your boys sound so fun. I love Malcolm’s owl and I understand the self-critical part of him. I love that Isaac doesn’t do that. Both drawings are remarkable. 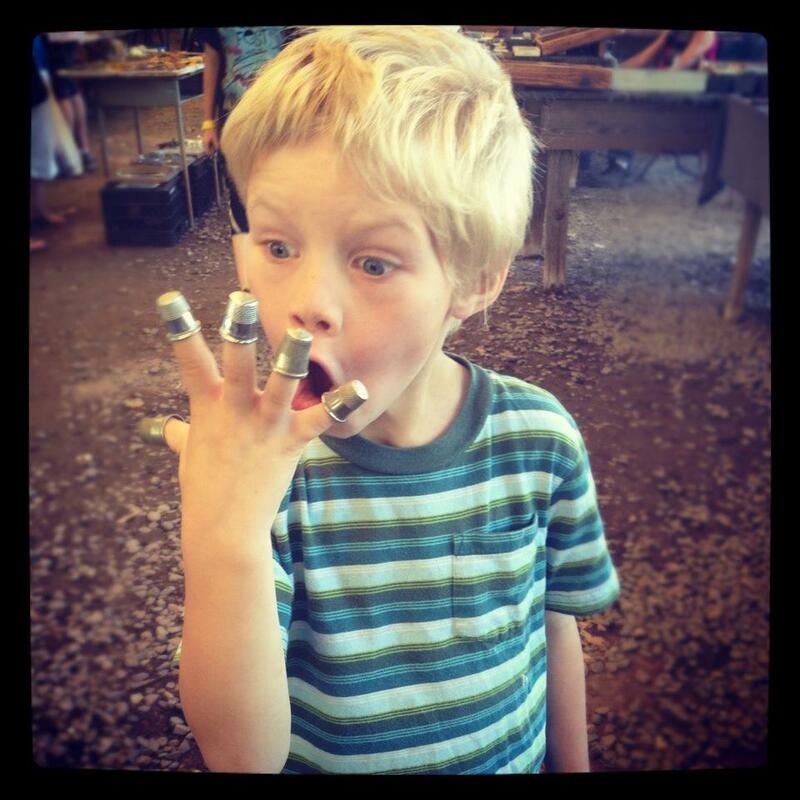 Does Thimble Man have to eat any special food (like Popeye does) to make his special powers work or does he have the powers anytime he wears the thimbles. Thank you. Well, SR, I asked him, and he said…yes, he must eat pasta, potatoes, cheese… I can’t quite remember the other items, but they are all very pale, and all staples of our Isaac’s limited diet! I hope you’ve sorted out all of your viruses and other things!! It’s always so nice to see your name on a comment.